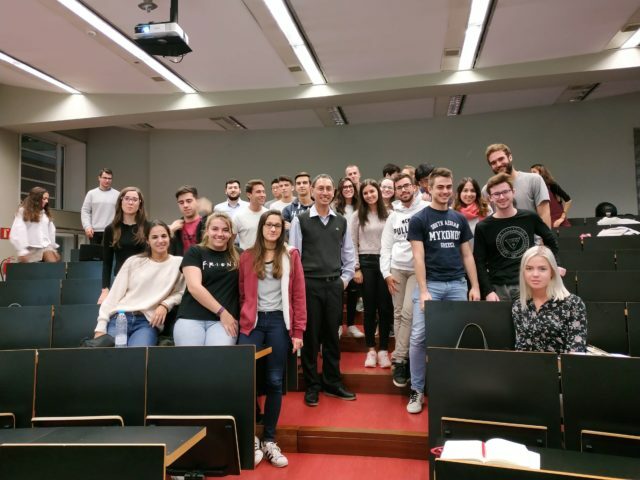 Dr. Marko Hermawan had an opportunity to teach in the University of Pompeu Fabra (UPF) in Barcelona, Spain. He has been awarded a mobility grant in the framework of the Erasmus+ KA107 International Credit Mobility Programme to undertake an academic stay from 28 October until 3 November 2018. 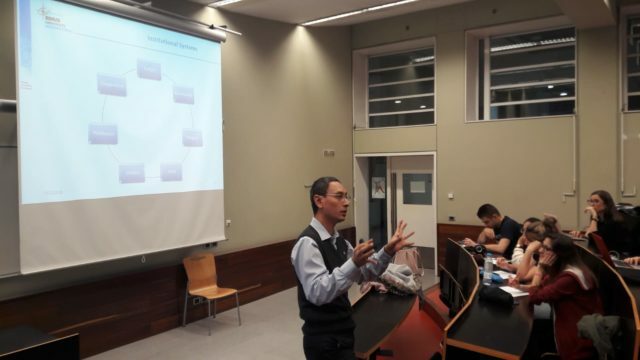 A part from his teaching liability, Dr. Marko also established research collaboration with Prof. Teresa Maria Monllau in a topic on comparison of graduate competencies between Indonesian and Spanish graduates. 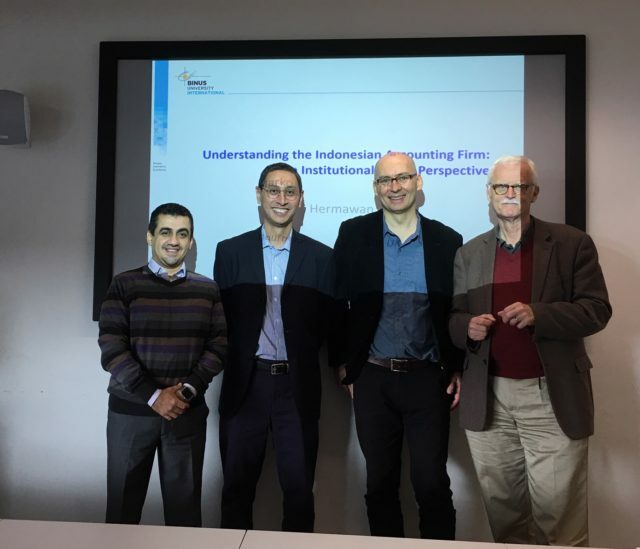 He had a chance to present his research on business culture in Indonesia; challenges and opportunities. Dr. Marko also travelled to some universities in the United Kingdom (UK), to do teaching, resesarch presentation, and meeting for new collaboration. He went to Edinburgh Napier University (ENU) for a business visit, and met with Prof. Grant Mackerron: Business School Academic Director, Dr. Ronnie Lannon: Interim Head of Management Subject Group, Mr. Carles Ibanez: Programme Leader of BA (Hons) Business Management suites, and Dr Nathalia C Tjandra, Associate Professor in Marketing, and SAL International (HK and SE Asia). The discussion was on strengthening partnerships on double degree (3+1), student and faculty exchanges, research collaboration, and academic issues. 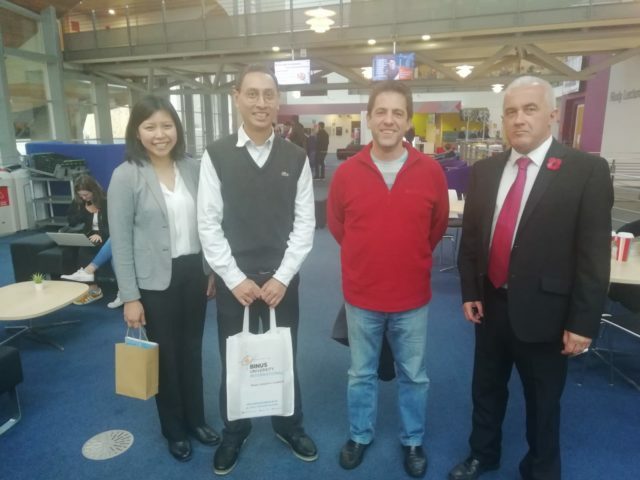 He then visited Bournemouth University (BU), in Bournemouth, one of the International Business Double Degree Partner to have a research forum and presentation, while monitoring current Binus students who undertake the degree in the university. In the research forum Dr. Marko presented a topic of “Kekeluargaan as a foundation of Indonesian business norm”. On his last trip in UK, Dr. Marko visited University of Suffolk (UoS), Ipswich. He presented his research to the MBA students on ‘professionalism in Indonesian accounting firm’.